Not that long ago there was a lively discussion on here following the decision by Decanter to have a two tier points system , one for cheaper wines and one for ‘fine’ wines on the pretext that poor comparative scores would harm the cheaper wines. This did not go down well with Decanter readers nor many on here and many suggested it was the other way round with cheaper wines that scored well embarrassing some fine wines, but decanter came out with a wishy washy reply but would not budge on their decision. For myself I stated I thought Decanter had gone to far already with their DWWA having added extra layers of awards with their Platinum level and best of etc for everything , it added up as a version of the current schools position in exams where all get prizes regardless. As for points systems, the adoption of Parkers 100 pts as the de facto one was never that good a move as it starts at fifty anyway, yes I am guilty of using it on cellartracker but that is the standard used there as well, but the absurdity of a single point 90 v 91 being arrived at by one critic and the same wine getting 97 under Mr 100pt Suckling makes a farce of the system as the percentage difference if you discount 50% of the score before you start, is huge, and no one has ever to my knowledge ever scored a wine below 75, and it is only really fit as a general guide, I have always preferred the old five star method with the taste notes making the real difference. 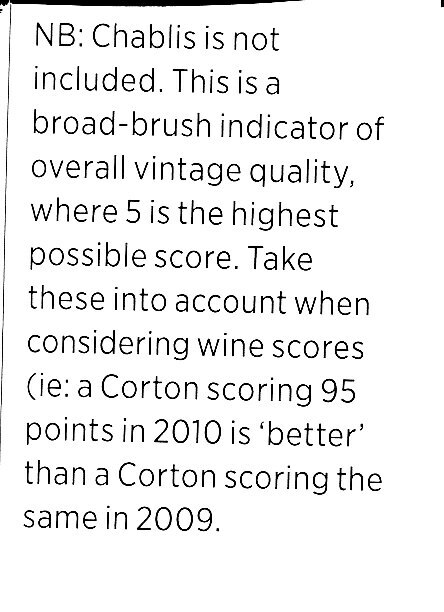 But this latest issue of Decanter now goes a step further, this addendum at the bottom of a vintage chart on Burgundy, whereby the way they use a five star or bottle chart is self explaining, I had to cut the piece out and scan as there is no link. So now as well as having to work out the differential between cheaper and fine wines, for which they never gave a cut-off price and was never explained ? We now have to discard the 100 point system overall and treat all years separately that is if the price is right, I honestly think they have lost the plot ! Wine is quite a simple thing, you like it or you don’t and you drink it, we are in danger of being conditioned into thinking, well I’m not, all this is really necessary when the same critics sometimes give very varied markings from early cask samples to interim reports on wines and what they believe will be the points when it matures in some vague drinking window, all a step to far and the truth is in the latter it is only a qualified guess in the first place, but this latest Decanter vintage variation is simply pointless. 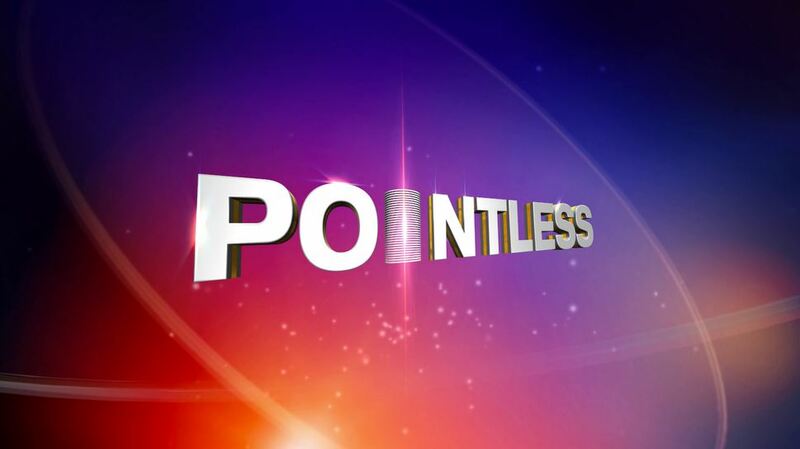 The whole “points” thing is utter garbage, @cerberus. But then I imgine you knew that. I take the view that the points system is a bit of a marketing ploy. it’s used by many online wine retailers to help sell a wine. It’s also only one tasters opinion that you are reading and you do get different scores of the same wine by different reviewers. The system was also criticised by some sommeliers in the documentary ‘somm-into the bottle’ which can be seen on netflix. At first, I was buying wines online and used scores to some extent when choosing what to buy, but now I look for the tasting notes/style and now prefer to go to my local wine shop (Wimbledon wine cellars) to try before I buy, and to tap into to the knowledge of the staff in the shop. Some may find the score system as useful guidance, but I personally wouldn’t let it be a big part of my decision of which wines to buy. I generally ignore points and stars and read the comments if any. Helps to know if the taster’s preferences are aligned with yours or not too. Grade inflation has become all too prevalent with many not scoring anything under 85 (of a 100) or 15 out of 20. I think points work only if its the same taster and the same vintage rather than trying to compare points over different vintages even if its the same taster as the scale is reset each vintage - eg a 90 point wine in year A might be rated as 85 if compared with other wines in the next vintage. I usually look at the general trends for a certain region and vintage and see if there are any regions that have been flagged as generally better. Remember that a great producer can produce a great wine even in a ‘poor’ vintage. With due respect that is the point I was making about the Decanter points issue in my opener, if points are awarded to a wine then they should awarded on the basis of the quality of that wine not altered as per vintage, how on earth can people compare if a wine is awarded the same because it is being given points on the strength of a vintage, ridiculous. That is so overcomplicating the points system as different regions all have different vintages, that who would bother, and it is meaningless, the wine is either of a certain quality or it is not, the same goes for their stupid two tier re price system which again as I said at the start they never even gave a cut off point for the price so you just guess. All backs up my basic cynicism for the whole system, it needs to get back to basics, and people put far to much trust and emphasis on the points system and those that espouse it. It all needs a reset. James Suckling and Friends !!! I did not think it was worthwhile starting another thread so I have tacked on this comment here. I have never quite understood the point of a lot of specialist tastings when they are as this one apparently very limited in the wines in front of them. Drinks Business do regular ‘Masters tastings’ but the one thing with all of them is the lack of names and wineries that one knows, not in any way decrying the success of those awarded medals as the judges can only taste what is in front of them, what we never get with the Drinks Business ‘Masters’ is a list of the wines that they drew their winners from, in this tasting for example there is not visible a single top level German estate, I suspect that as with Bordeaux and the Burgundy competitions the top Chateau wineries simply don’t enter their wines as they have no need for awards, though to be Devils Advocate, you could say they don’t enter for fear of being exposed to lesser lights beating them. None the less these tastings without the acknowledged leading estates in the areas being tasted are of dubious merit.